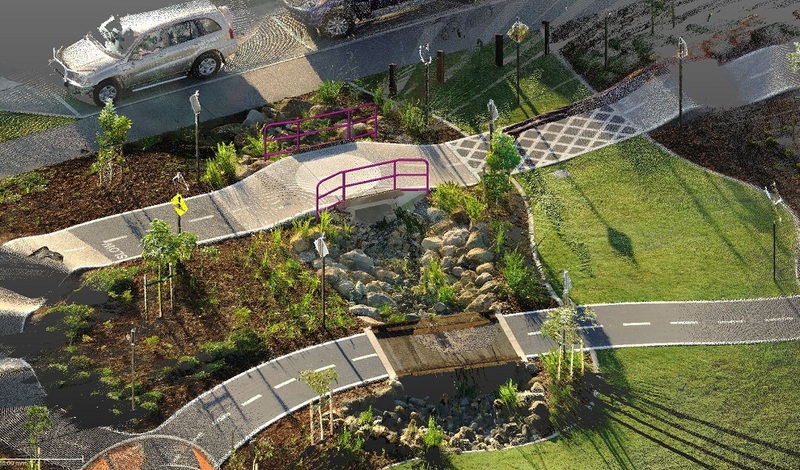 We are a Brisbane based business providing 3D Survey & Design Solutions to multiple industries throughout Australia. 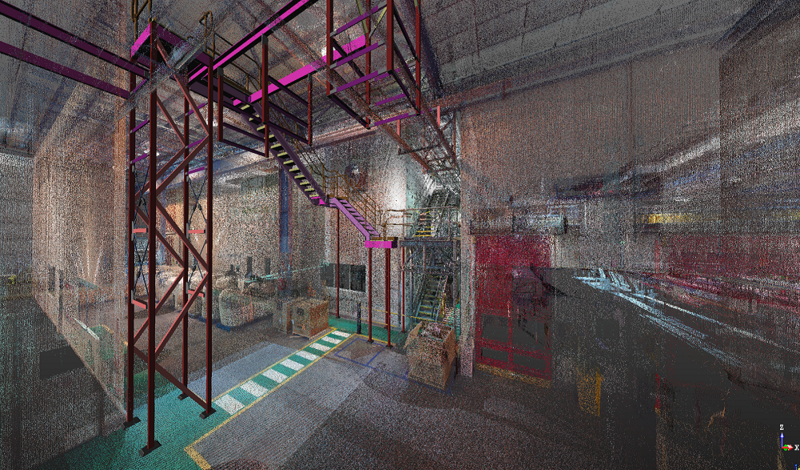 Using cutting-edge technology & the expertise of our people, we specialise in 3D Laser Scanning, 3D Modelling, BIM Management, Construction Setout & Mixed Reality. Holovision 3D provides an extensive range of 3D Solutions suitable for use in multiple industries. We have invested in market-leading technology in order to provide our clients with advanced, innovative and accurate solutions for all types of projects. 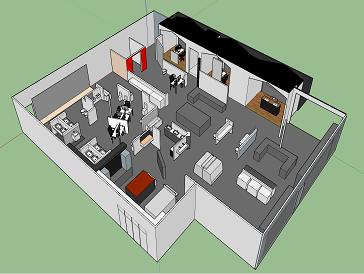 Our equipment, software, and expertise is what you need to design, measure & visualise your next project. 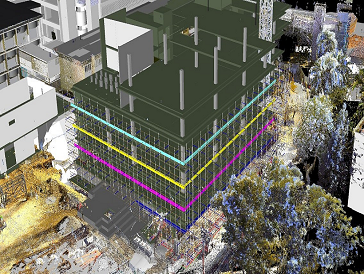 Holovision 3D offers comprehensive 3D Laser Scanning services for the efficient, detailed, and accurate collection of 3D data.3D Laser Scanning is a method of capturing a real world environment or structure in three dimensions. Using this technology we are able to capture the full external or internal detail of any structure, of any size. 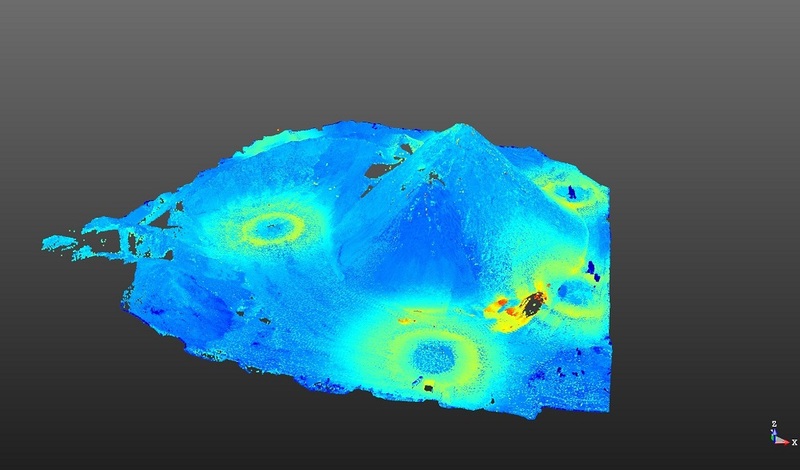 3D Laser Scanning is a safe and cost effective solution for capturing data in congested, detailed or hostile environments, or where direct access is not possible.The resulting 3D information - a point cloud of millions of surveyed points - can then be used to create a number of different deliverables, across a variety of applications, in multiple industries. Detailed & Accurate - down to the millimetre! Holovision 3D offers in-house 3D Modelling. 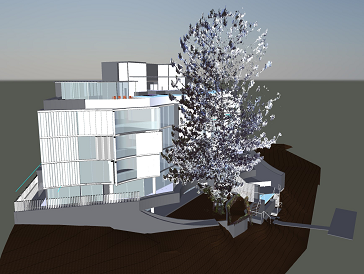 Using 3D Modelling software we can create a real-life model of any structure. 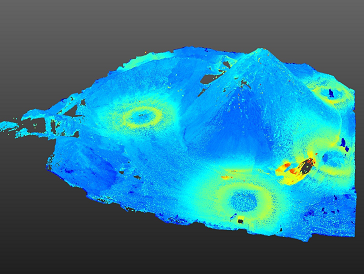 The 3D Models we create can also be incorporated into our 3D Point Cloud models from laser scanning. 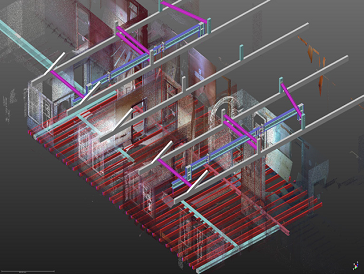 Using 3D Modelling Software for detailing we can detect clashes and verify exact measurements of a model against the as-built site. Building Information Modelling (BIM) is the process of creating & managing building data during the life-time of a project. 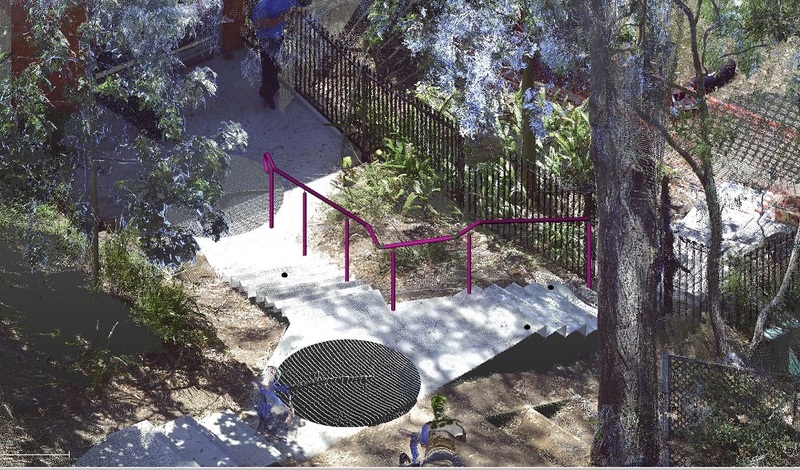 Our team at Holovision 3D can do this for you.Using BIM we can give you the insight and tools to plan, design, construct & manage your projects. It can act as a shared knowledge source for all stakeholders. An example of this? 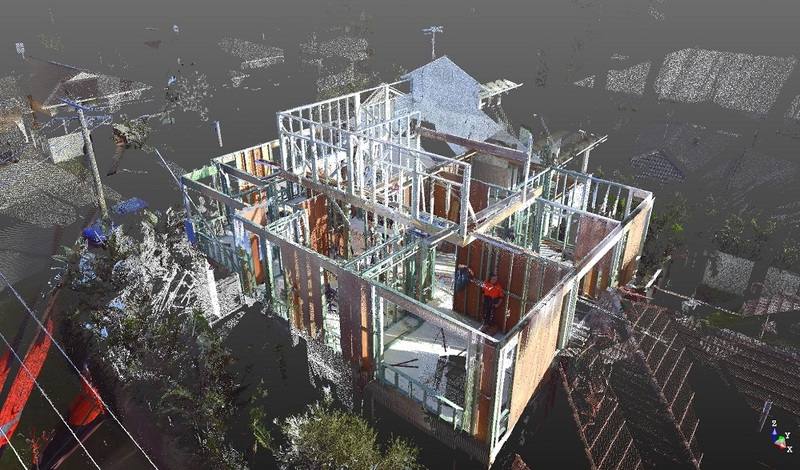 We can combine contractor models, checking for constructability & clashes, to reduce construction risk and costs.A Holovision 3D team member will collaborate with your project team to ensure all levels of detail are accurately surveyed and modeled. 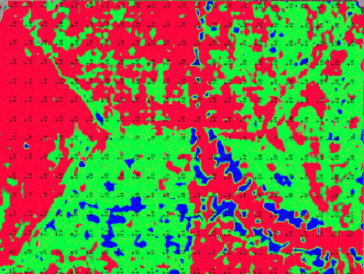 The Holovision 3D team can assist you with Site Positioning and Measurement using our Robotic Total Station & Field Link Software.Our Total Station uses precision optics to measure points in the 3-dimensional space at high accuracy and long distance. We use the Total Station for measuring as-build locations of slabs, anchors, walls, existing services, and much more, to assist with construction set out. We can also integrate the Total Station with our laser scanning technology in order to orientate the scan to real world coordinates.With the combination of 3D Laser Scanning and Total Station Measurements time on site and risk of human error is significantly reduced. Holovision 3D offers the use of Mixed Reality to help you visualise your structure, in the real world, before your project even begins.Mixed Reality is a combination of Virtual Reality & Augmented Reality. It works by augmenting the real world with 'virtual' objects by displaying a hologram. To do this we are currently using the Microsoft HoloLens in collaboration with SketchUp Viewer.Mixed Reality may be used throughout a projects life-time for design, collaboration and visualisation. It can also be beneficial it assisting your clients interpret drawings and visualise space, something they may find difficult if they're not from a design background. We can display your design in 1:1 or scale it down for an all-round view of the object. The accuracy of the scans was of very high quality and made it very easy to fabricate the new items from scratch with no fit-up issues. My customer is also very happy with the finished article quality, price (less than 50% of OEM) and lead time (4 weeks from start to finish vs 3-4 months). We were very pleased with our experience of working with Holovision 3D. As an Australian based company, they were more than happy to fly over to New Zealand to complete 3D Laser Scans for a variety of our projects. Ben was very professional, and the results provided were not only prompt, but accurate. I have been impressed with both the flexability and professionalism demonstrated by Holovision 3D in sharing with our business the 'holovision' technology.Their willingness to work with us to understand and then gain the benefit of this technology has been an enjoyable and valued process.We are now able to use this technology to provide full and accurate site measures, clash analysis between scaffold and structure, and accurate site layout in accordance with design.The data is captured in a format that enables us to clearly both show and prempt clashes before they happen and to communicate these instances in an openly and undisputable format.Utilising the Total Station system we are able to ensure technical scaffolds and false work supports based out exactly prior to the structure eliminating any rework required. We are certainly happy to recommend Holovision 3D services. Your services were conscientiously delivered and the final 3D product was high quality.